Suffering through the cold months in an uncomfortable home can be avoided. A new furnace from Trane can help you resolve issues with home comfort and even high energy bills during the winter. As Trane Comfort Specialists, we are proud to provide our customers with efficient equipment to improve your home comfort. If you don’t remember when your furnace was installed, it has probably been too long. Furnaces now are built to be much more energy efficient than their predecessors. This means that they use less energy, helping to keep your monthly bills low, while also providing superior heating abilities. 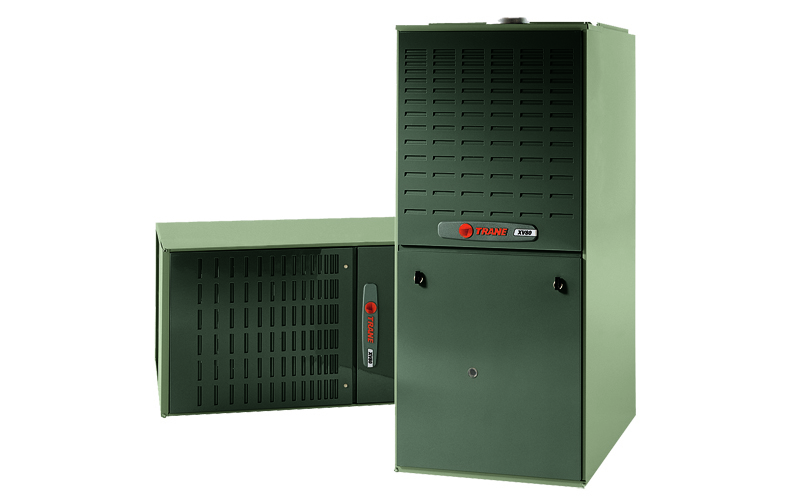 Furnaces from Trane are over 95% efficient, making them among the best furnaces available. A 95% AFUE or Annual Fuel Utilization Efficiency means that 95% of the fuel you’re paying for is turned directly into heat. So not only will you be more comfortable during the cold weather, but you’ll also save money on heating your home. In addition to providing superior energy efficiency, Trane furnaces also offer a variety of additional benefits. With features like built-in intelligence for self-diagnosis and multi-port in-shot burners, Trane furnaces are exceptional. The need for a pilot light is also completely eliminated with a new Trane furnace since it has a silicon nitride ignitor. Along with these unique features, the filters in Trane furnaces are always easy to access, change and clean, making it simple to maintain high indoor air quality. Each new furnace from Trane comes with a five-year warranty and will last longer than other options as long as it is routinely maintained. If you’re ready to make every winter a pleasant one at home, Anchor Heating & Air Conditioning can help. Our team of expert HVAC installers and Comfort Specialists can outfit your home with a new, high-efficiency furnace from Trane. You’ll start to experience the comfort and lowered energy bills that an energy efficient Trane furnace can provide. Get warm and cozy at home with a new furnace from Trane. Contact us or call 770-942-2873 to learn more, or schedule an appointment today!